​This past trip to Nepal, our director Jan Sprague met with 38 women from the Dhading District of the Ganesh Himals who are now living in Kathmandu. 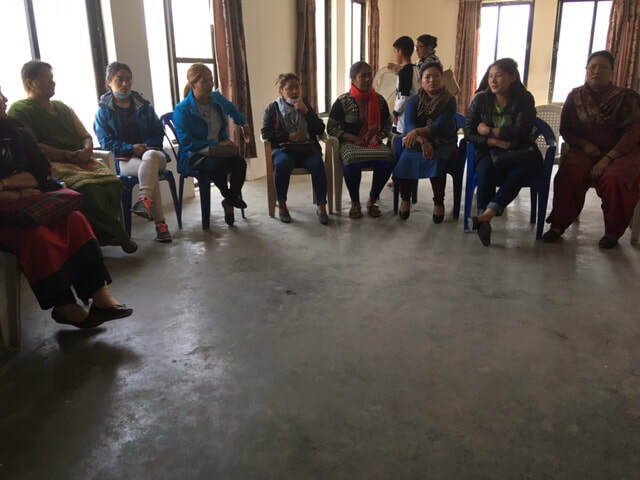 Discovered by our field director, Kavita Thapa Adhikari, the women relocated with their families shortly after the massive Earthquake of 2015 destroyed their homes and their village. While their husbands spread out over Kathmandu to find what work they can, the women formed their own committee to try to help their families by learning marketable skills. They are hoping by taking sewing lessons and obtaining treadle sewing machines, they can learn to sew clothes, sanitary pads and school uniforms for children, as well as make handicrafts that can be sold in the market place. 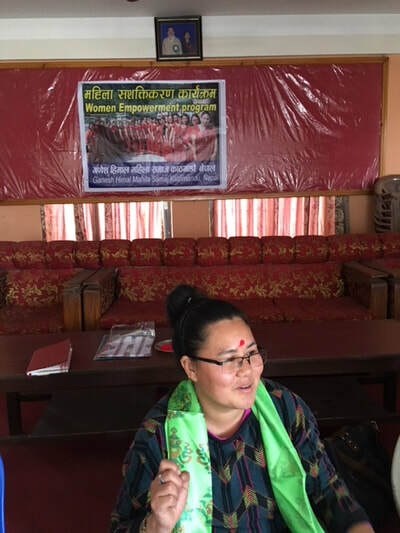 Kavita, with her experience conducting womens sewing workshops in remote villages, met with the women to find out just how HANDS in Nepal can help them. When Jan arrived in country, we were able to meet, talk and discuss the best way to help these women help themselves. 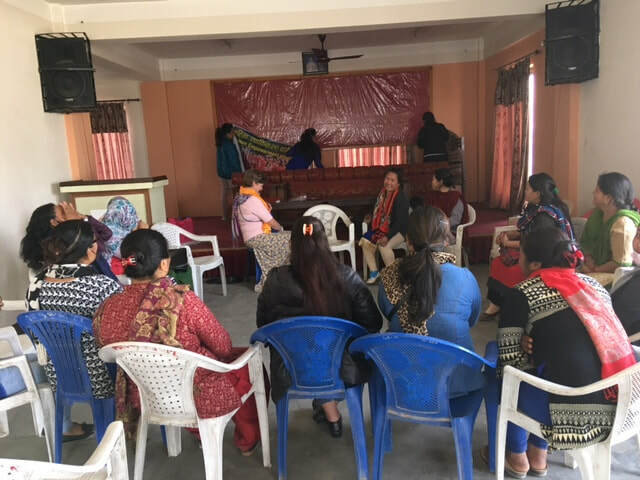 Kavita was able to organize a sewing instructor who could do a 15 day sewing workshop with the women, if HANDS could fund the cost of the program, including the purchase of one sewing machine for the women to share. Our Board of Directors had no problem approving the cost of the 15 day workshop-$400- plus a $110 treadle machine to be bought in Kathmandu. Kavita will organize the workshop and supervise it for us-photos and a report will be posted here soon! We are so happy and excited to help these women-$400 definitely is a small amount to help 38 women who don’t want a hand out but a hand up-and skills to be productive and help their families as they rebuild their Earthquake-broken lives.